Dr. Beth K. Bruening, M.D. Dr. Austin L. Strohbehn, M.D. Dr. Thomas G. Pratt, O.D. At Bruening Eye Specialists, we provide comprehensive medical and surgical eye care in South Dakota, Iowa, and Nebraska. We are focused on giving you the best possible care so you can achieve your best possible vision. The doctors at Bruening Eye specialize in LASIK surgery, cataract surgery, advanced technology cataract surgery, minimally invasive glaucoma surgery, and oculoplastic surgery. In addition, they also medically treat eye diseases such as glaucoma, macular degeneration, dry eye, and diabetic eye disease. 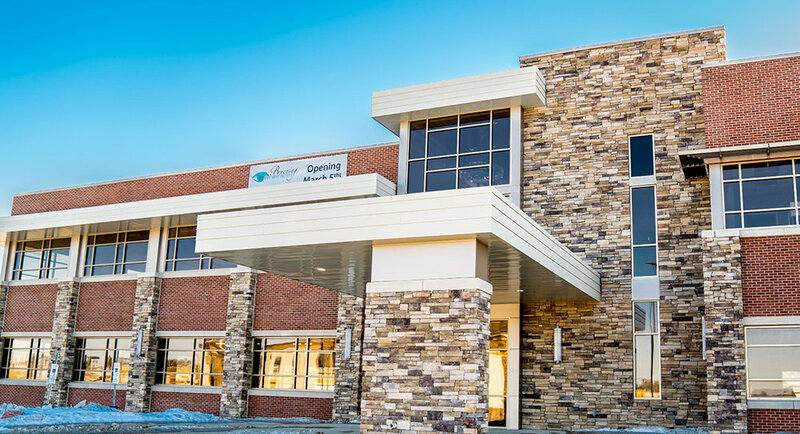 We have two primary locations in Siouxland and four satellite locations so you can have access to the regions best eye surgeons, close to home. LASIK - Technology drives our LASIK practice, and we use the most advanced custom wavefront-guided laser available. If you are considering LASIK in Dakota Dunes or Sioux City, you will discover that we are the only LASIK center with surgeons who practice ophthalmology locally in the community. This means you can meet and discuss your case with your surgeon before the day of your scheduled surgery and that they will be readily available for any of your post operative needs. We firmly believe in only providing the best for our patients, from start to finish. As experienced surgeons practicing ophthalmology in the community for almost 30 combined years, you can be confident that by choosing us you will get the quality of care and attention to detail that you deserve. Call to set up your free evaluation. Laser Vision Correction - Not only LASIK, we offer a variety of laser vision correction. We will help educate you so that you can make your best personal choice. Cataract Surgery - We are the exclusive cataract surgery group of the Dakota Dunes and the largest in the Sioux City area. We offer a full spectrum of cataract surgery options, both standard and advanced technology, so you can achieve the visual goal you’ve always desired. Laser Eye Surgery - We offer the new state of the art Ellex YAG laser and SLT laser technology. Glaucoma Surgery - Our surgeons specialize in both laser glaucoma surgery as well as minimally invasive glaucoma surgery, both newer and safer surgical ways to help address lowering intraocular pressure. Oculoplastic Surgery - Our ophthalmic surgeons perform reconstructive surgeries to the eyelids for both functional and cosmetic results. The doctors at Bruening Eye Specialists treat eye diseases such as glaucoma, macular degeneration and diabetic eye disorders as well as to surgical treatments for cataracts, droopy eyelids and perform iLASIK, the most advanced laser vision correction in the Sioux City Metro area.